Originally posted 12th Feb 2018. 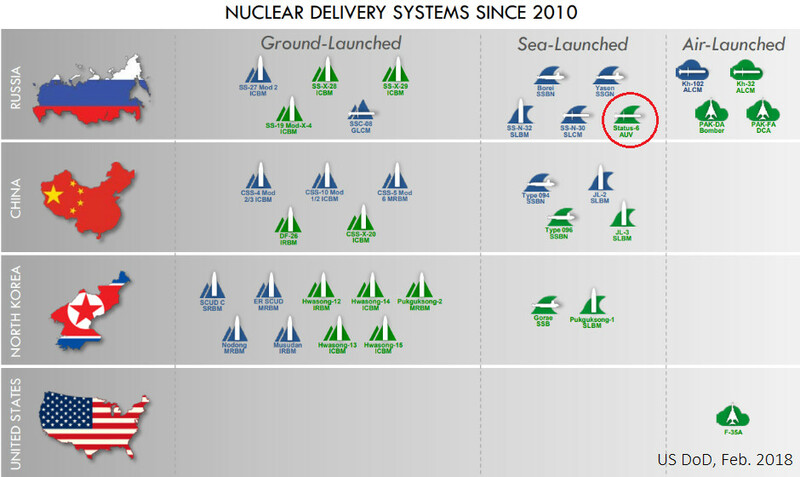 Since the US DoD released a Nuclear Posture review citing the ‘Status-6 AUV’ as having been tested, commentators are forced to accept that the Status-6 (NATO: KANYON) intercontinental, nuclear-armed, nuclear-powered, undersea autonomous torpedo is a military fact. Some observers had been watching the developments for some time however. This brief analysis details a selection of my original research into the subject. Some of it well known, some less so. Comments and corrections welcome. 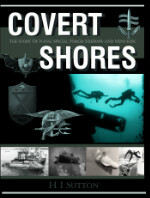 Original artwork - CLICK IMAGE FOR HIGH-RESOLUTION. A. 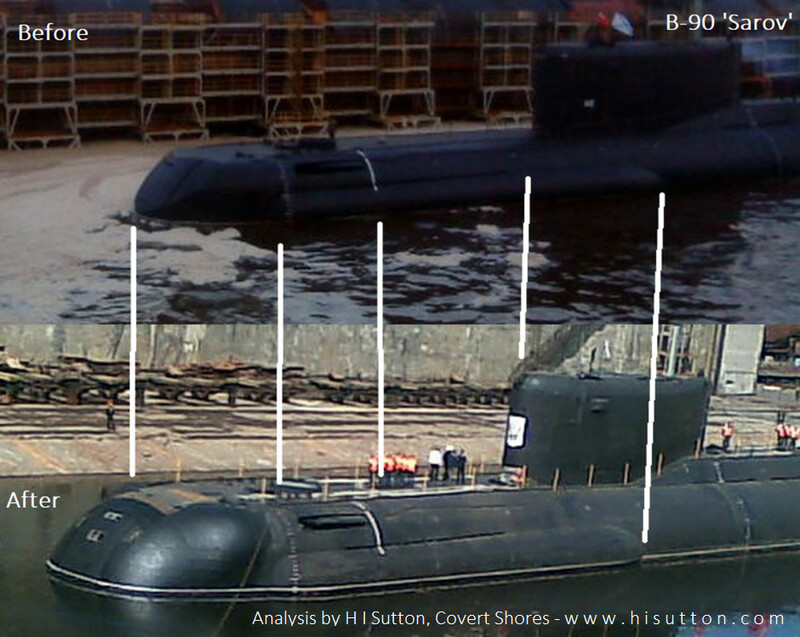 The OSINT trail starts with the special test submarine B-90 Sarov. 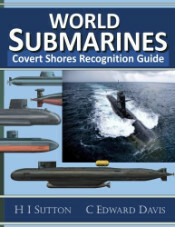 Originally laid as an improved KILO Class submarine, she was heavily modified over a protracted construction cycle to serve as a special test submarine. She was commissioned in 2008. A key feature is a very large hangar-like weapons bay in the bow which is much larger than would be needed if she was only intended to test regular sized torpedoes. 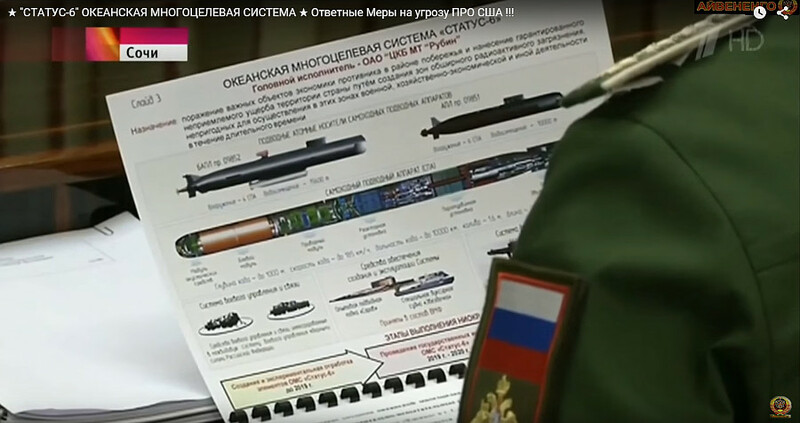 In the past the Russians had grafted additional test torpedo tubes onto the bows of old diesel-electric submarines – Sarov is a completely different beast and only makes sense in the context of KANYON. B. Initially B-90 Sarov was involved in testing regular torpedoes. The below photo, from 17th Oct. 2009 shows her being loaded with test torpedo in external tube, presumably in the hangar. The weapon appears to be 533mm or 650mm. Geolocated to 64°34'41.69"N, 64°34'41.69"N in Severodvinsk on the White Sea where Sarov is based. Original artwork of Sarov with KANYON torpedo - CLICK IMAGE FOR HIGH-RESOLUTION. 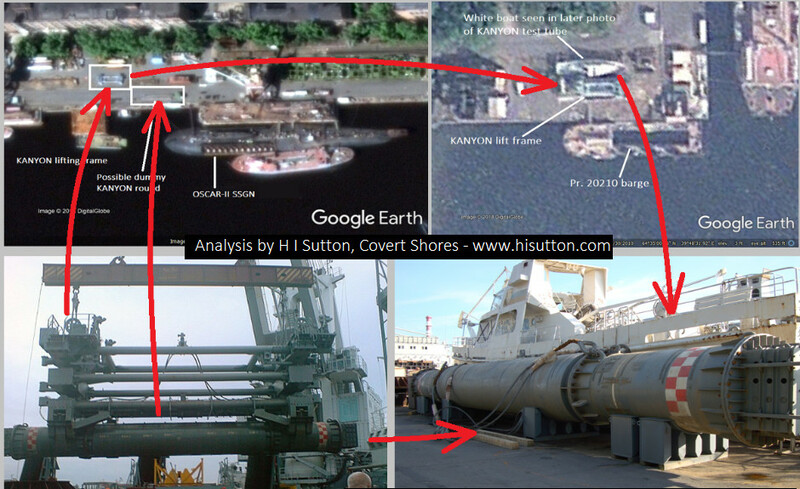 E. Since then the test KANYON round and related equipment has appeared in numerous satellite images and some photos (two better known examples posted here, cross-referenced with early satellite images). The test KANYON round is only 18-19 meters long, compared to the stated length of 24 meters revealed by Russian media in 2015. F. On 20th Dec 2012 the OSCAR-II submarine K-139 ‘Belgorod’ is re-designated as the Pr.09852 in laying down ceremony at Sevmash (here). F. In 2013 Russian media reported on a new system under development called Skif (Скиф). 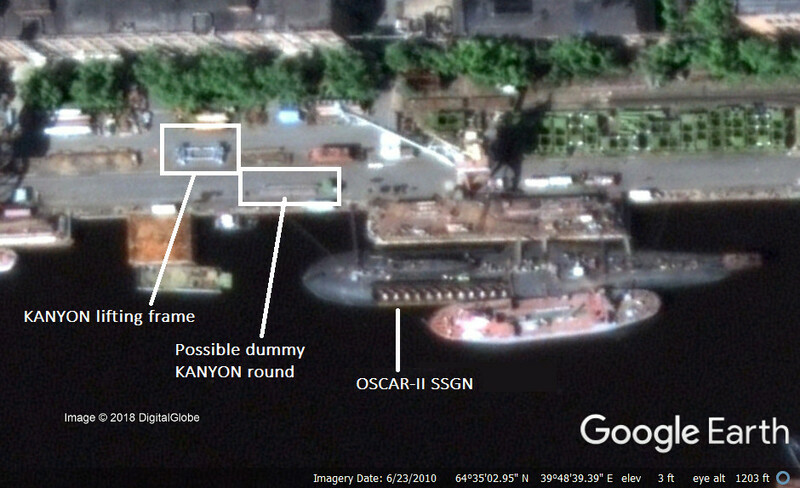 The name caused some confusion because KANYON was virtually unknown in the public sphere and it sounded similar to the “SKIFF” missile (SS-N-23) carried by Russian Navy DELTA-IV class ballistic missile submarines. G. On 27th June 2014 the Pr.09851 Khabarovsk submarine laid down at Sevmash shipyard in Severodvinsk (TASS). This we now know is designed to carry 6 KANYON rounds. The Status-6 was met with some incredulity in Western media, possibly because it was hard to imagine the concept of operations. The weapon does make some sense when viewed as a second-strike weapon, intended to literally go under missile defenses. J. 12th May 2017. Image of KANYON test round being loaded or unloaded aboard ZVEZDOCHKA 600 (Pr. 20180) posted on Russian internet forum. Believed to be an older photo. The vessel is normally moored next to B-90 Sarov in Severodvinsk and is known to be involved in supporting KANYON testing. K. Clearer images of test round, dating from c2010 timeframe. Image appeared on Russian social media years later. M. March 2018. System named 'Posiedon' (Посейдон), apparently after Russian citizens vote on new name.